Master Distributor for the U.S.
Digigram , the market leader of broadcast audio solutions is expanding their partnership withPoint Source Audio who has been their trusted partner in the US market for over eight years. As their Master Distributor, Point Source Audio will add the full range of DigigramAoIP products to their existing portfolio. “We are thrilled to extend our partnership with Point Source Audio. We rely on their professionalism and technical expertise and our long-standing partnership with them reinforces how Point Source Audio and Digigram will be successful working together”, says Jérémie Weber, Digigram CEO. “Digigram is a worldwide recognized brand for audio codecs and Point Source Audio has the reputation, the reach and the commitment to deliver this to the American market. Together we will have a very positive impact on audio transport throughout America. I am also impressed with the technical competency and enthusiasm of the PSA team, who will deliver top notch education and training, as well as the support services our customers expect. This is the right time to expand our reach and Point Source Audio’s commitment to excellence will make this happen,” Jérémie Weber added. “Over the past eight years we’ve built a strong and valued relationship with everyone at Digigram. 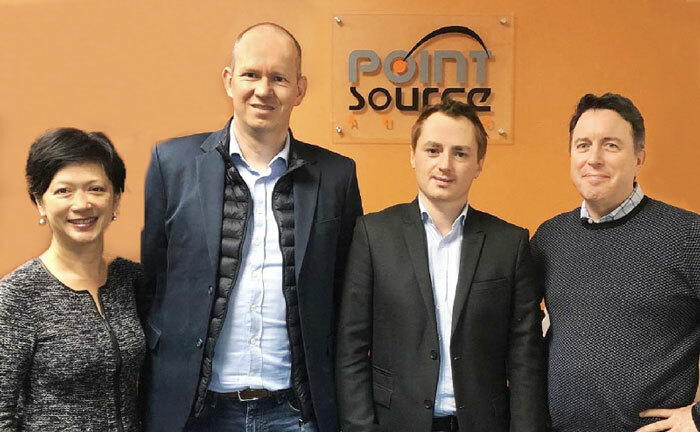 They’re a well-known and respected brand – together we’ll work in close collaboration to grow in this new and exciting market.” says James Lamb, Point Source Audio President. for attendees of NAB 2018 in Las Vegas, April 9-12. Digigram will also be present at booth #N6615 . More information about Digigram and Point Source Audio solutions can be found by visiting www.digigram.com and www.point-sourceaudio.com.